winter sky, originally uploaded by jahansell. 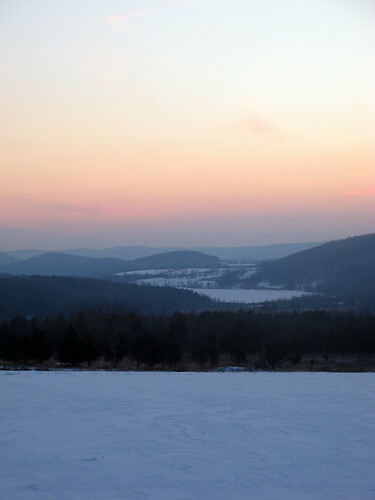 A view over Mudge Pond, just after sunset. I just noticed how similar this picture is to the one in the sidebar advertising my greeting cards. That one was in springtime, over Indian Lake! beautiful. i never get tired of looking at that view! !